Will Your Mac Be Able To Run Mac OS X Mountain Lion? Apple is getting right to the point and showing the world that it does want to very much have one operating system for all devices. The Mac OS X Mountain Lion reduces that line by even more. The company released the developer preview of the new OS yesterday and it has some 100 new features and also a new Galaxy themed wallpaper. 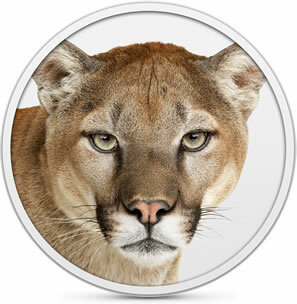 We also posted a nice long video that shows some of those new features in OS X Mountain Lion. In case you’re still sporting a Mac device that is not in the list above and want to enjoy the new features of OS X Mountain Lion, your only option is to upgrade! Machines that can run Mac OS X Lion don’t necessarily mean that they can also run the new OS. Sorry but does this mean my 2GHZ i7 Quad-Core MBP won’t get Mountain Lion, I’m a 14 year old who forked out loads for my first mac. Anyone got an answer? so my late 2008 black macbook is out? :( very sad day indeed for this thing. it’s been chugging along so well too.